I have become more than a little addicted to Pinterest. It took me a while to really buy into it, but now I’m hooked. And this recipe, which I made for our holiday party in December, was a really great Pinterest find. The recipe was posted on Kitchen Meets Girl’s blog, from Freutcake. But these would be delicious anytime. 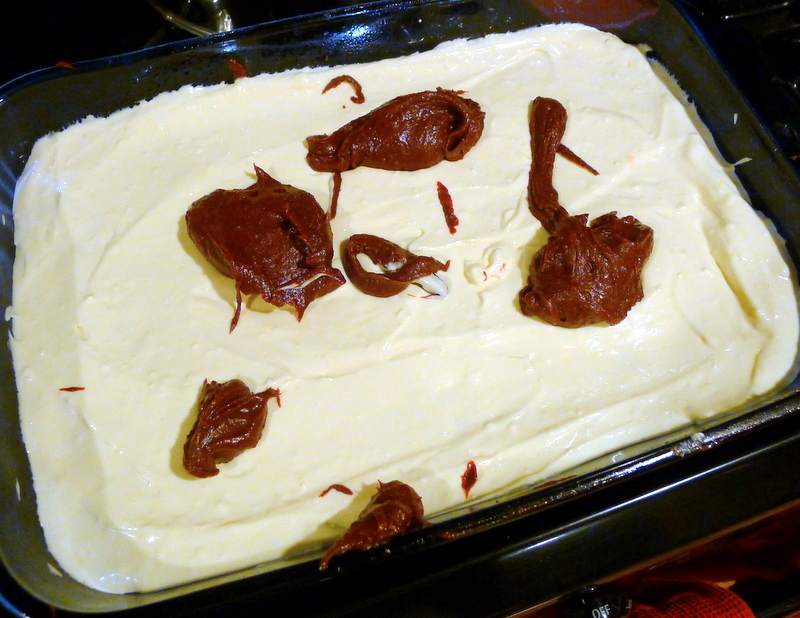 The cheesecake layer keeps the brownies moist, so if you accidentally slightly overbake them (which happens all the time with Red Velvet) they still stay moist and yummy. These were pretty great. Brownie layer: Add melted butter to a large bowl and add sugar, vanilla, cocoa powder, salt, food coloring, and vinegar, mixing after each addition. Whisk the eggs into the cocoa mix. 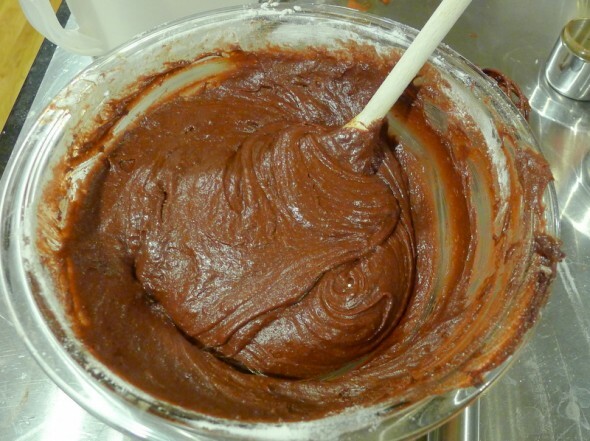 Mix in the flour until lightly combined. 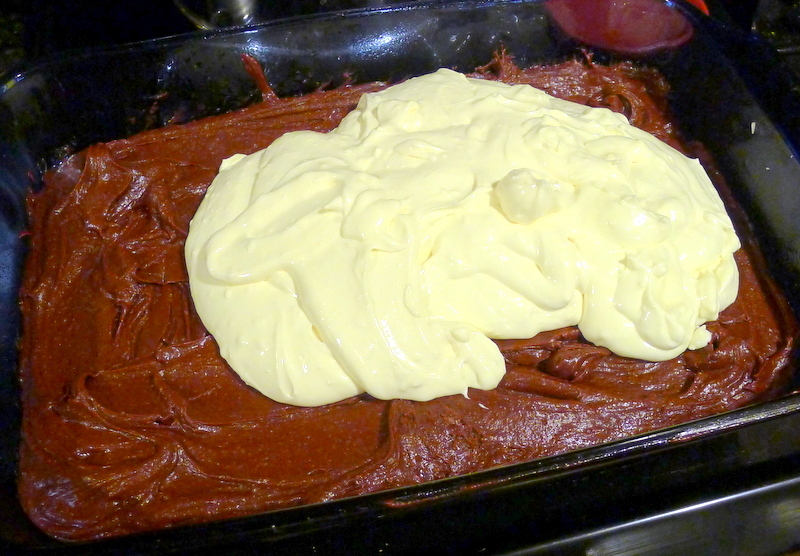 Pour the batter into the prepared baking pan, saving 1/3 to 1/4 cup of the batter for the cream cheese layer. 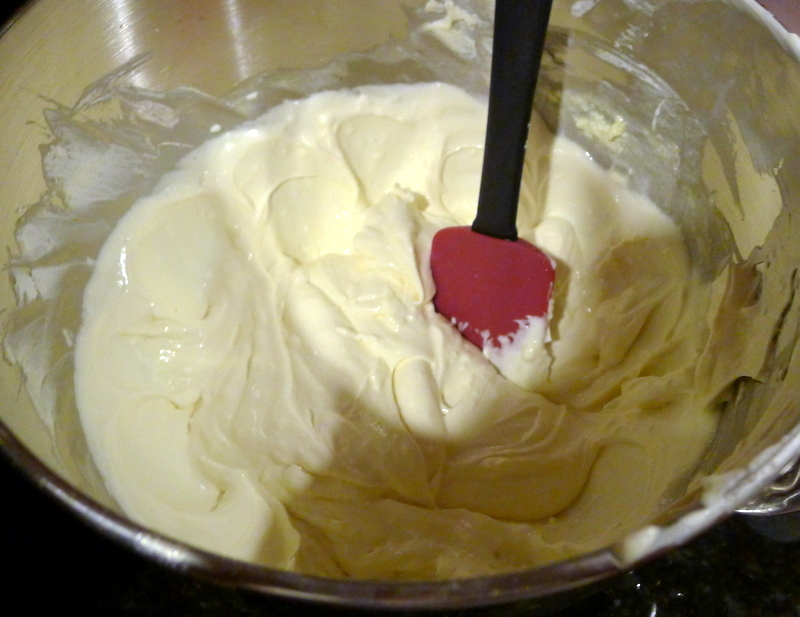 Cream cheese layer: Blend together cream cheese, sugar, egg, and vanilla in a medium mixing bowl. 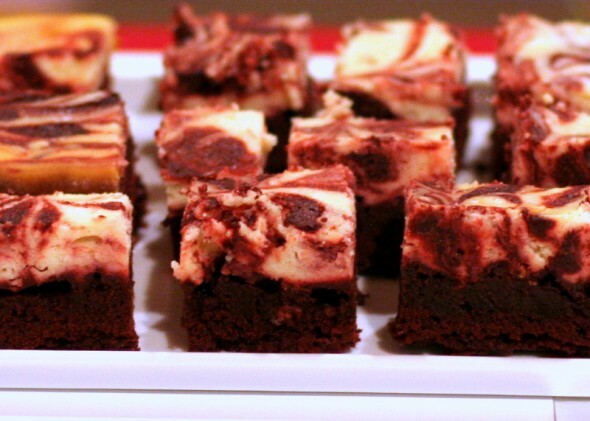 Spread the cream cheese on top of the brownie batter in the pan. 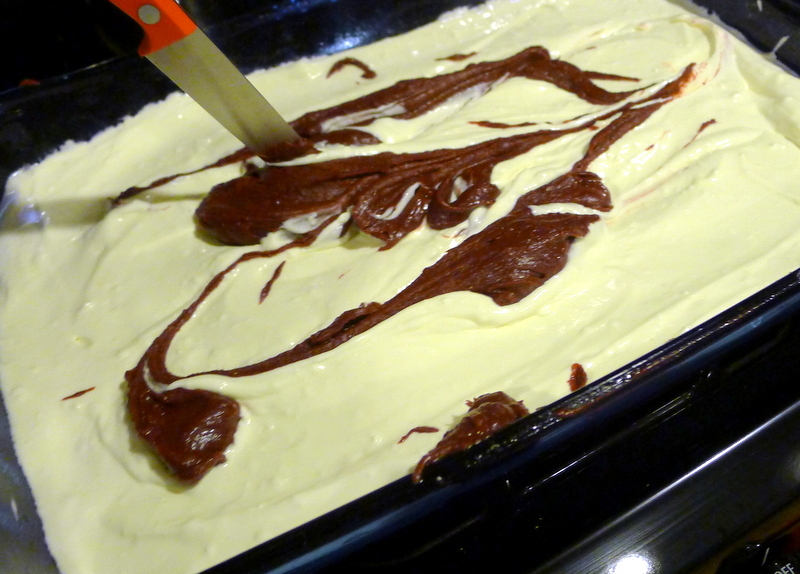 Put the remaining cocoa batter over the cream cheese layer. 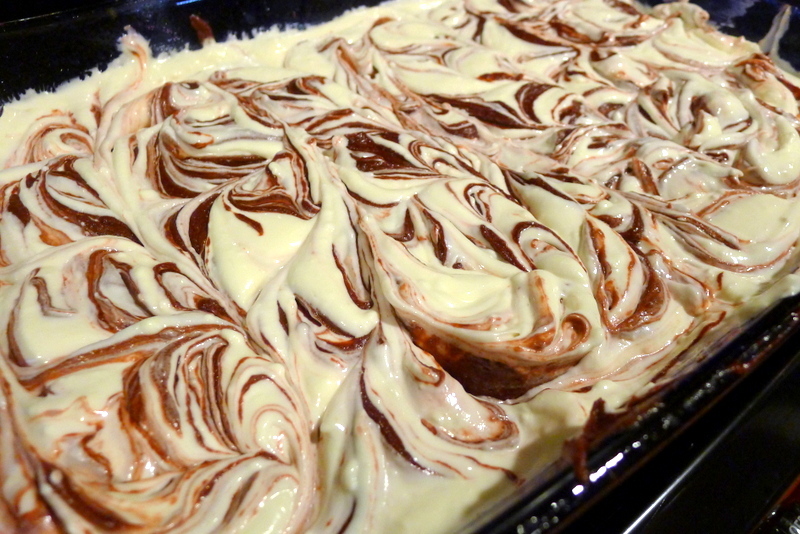 Using the tip of a knife, swirl through the cream cheese mixture to create a swirl pattern.